With lean pushing production efficiencies and ergonomics emphasizing worker’s needs, the two may seem like an unlikely pair. However, lean thinking and ergonomics go hand in hand—each field impacting the other. Both can combine to make manufacturing more efficient, profitable, and sustainable. 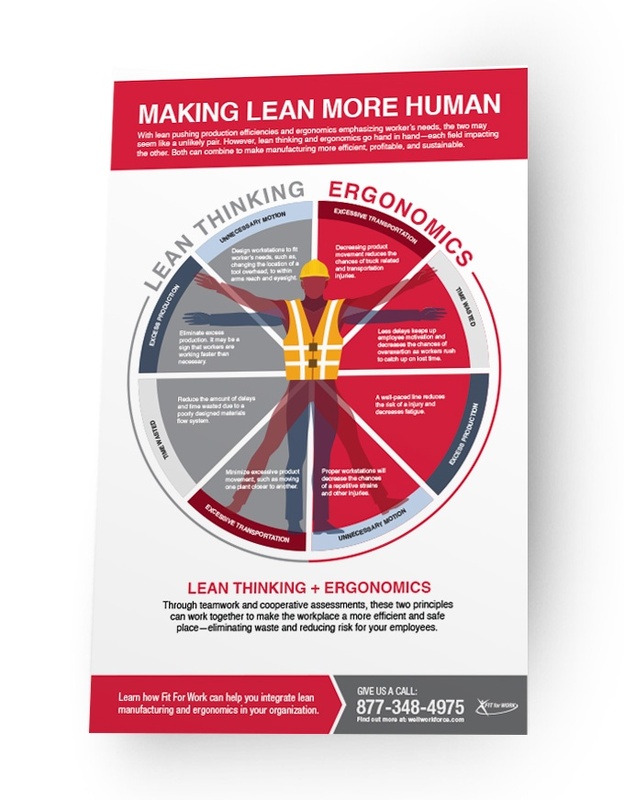 Download the infographic to learn how lean manufacturing and ergonomics work together.